VINCENNES — Danny Kautzman didn't have to pay out of pocket to start a new career. His new employer, a large gear manufacturer in southwest Indiana, sent him to the training center at Vincennes University for 15 weeks. The goal was to build on his expertise in management and expand his knowledge in making parts through an advanced manufacturing process. "It's really easier than what you think it is," Kautzman said. "A person of average intelligence that is somewhat organized and willing to do something else, it's totally achievable. "My message to employers is encourage people whether in another craft of that you know present them with these opportunties," Kautzman said. Kautzman was in the railroad industry before he changed careers. He says he made the switch because he wanted something more stable with a better schedule. "There's a life out there and it's manageable. There's a road map to it," he said. 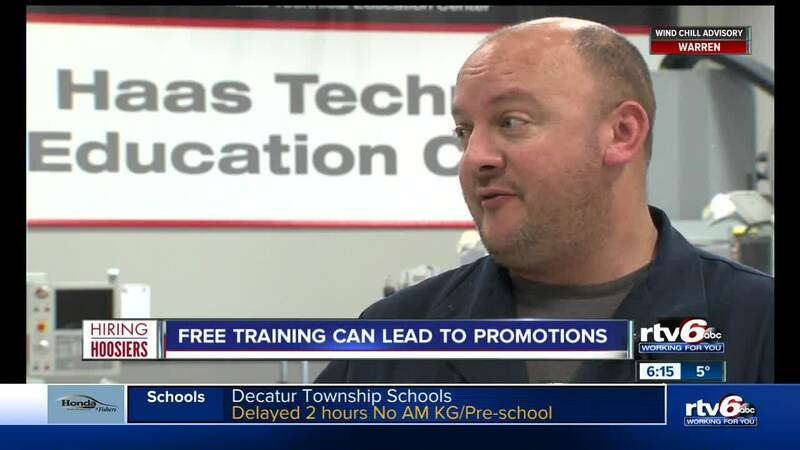 Doug Bowman is an instructor at the Haas Technical Education Center at Vincennes University. He's been working with people looking to improve themselves and their skills for almost 40 years. "We have military veterans, a lot of veterans have served as jet mechanics or tank, management skills and ethics. This is definitely not the end--this is the beginning. There is so much to learn," said Bowman.